Consolidated Properties, working with LJCB Investments, has won the government tender to develop the Yeerongpilly Green site in Southern Brisbane. Between 1100 to 1200 units are planned for the 14-hectare site, along with 1.8 hectares of green space and food, music and retail hubs. Deputy Premier Jackie Trad told the Australian Financial Review the project, which was first mooted seven years ago, would provide an employment boost for the city. 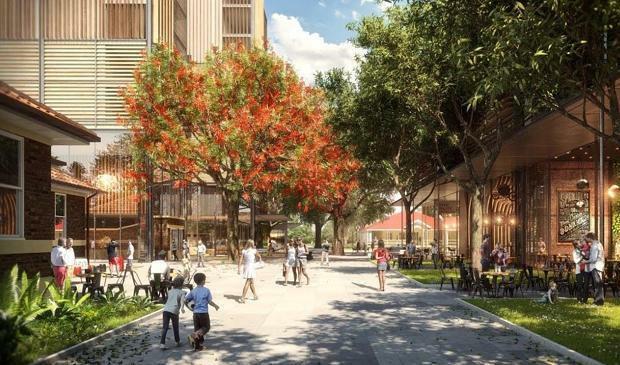 "The exciting, $850 million Yeerongpilly Green development will deliver an economic injection to the area and is expected to generate around 250 jobs during construction, and hundreds of ongoing retail and hospitality jobs once the development is completed," Ms Trad said. [tweet_box]Brisbane Developer Wins $850 Million Yeerongpilly Project[/tweet_box]"Today demonstrates the Palaszczuk Government's commitment to the development and construction industry in Queensland. "Hutchinson Builders will undertake construction. Ms Trad said the project, would be developed in two phases, and was expected to take up to 10 years to complete, finishing in 2024. Heritage buildings on the site will be preserved with the former Veterinarian School becoming the office of the Queensland Music Festival and the laboratory and stables being converted into a restaurant precinct. [urbanRelatedPost][/urbanRelatedPost]The state government will contribute about $30 million in community amenities to the $850 million project, as well as the land. A development application is expected to be submitted to Brisbane City Council by the end of the year.